Since gladial eatos is beginning to get more attention, i shall do a ruling post for one of the key cards of the deck. Effect: Select 2 face up attack position monsters on the field. 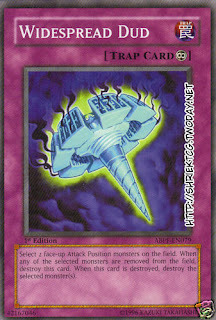 When any of the selected monsters are removed from the field, destroy this card. 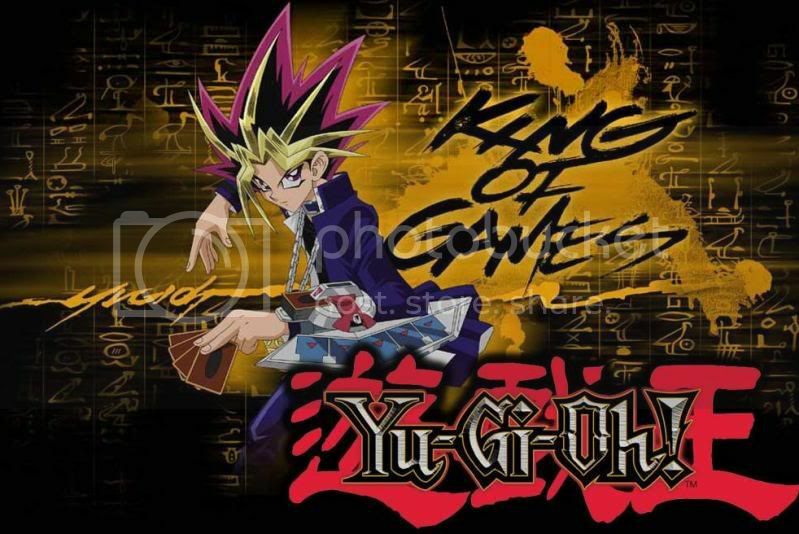 When this card is destroyed, destroy the selected monsters. 1. Let opponent lyla break this, just chain to two other of your opponent monster, and thank your opponent. 2. Lock two of your opponent monster and tag into bestiari, destroy this card, contact fusion, destroy yet another 2 more cards. 3. Drag your opponent monster along, just select any of your opponent monster and your monster that he is attacking. 1. The effect of "widespread dud" targets two face up attack position monsters on the field. 2. When "widespread dud" is removed from the field, its effect to destroy the targeted monsters does not start a chain link. 3. If "widespread dud" is activated and an effect like "enemy controller" or "zero gravity" is chained so that a targeted monster(s) is in face-up defense position when "widespread dud" resolves, then the effect of "widespread dud" will still be applied, and will still continuously target those monsters. Also, if "widespread dud" has resolved and afterwards an effect changes one of the targeted monsters to face-up defense position, then the effect of "widespread dud" will still be applied, and will still continuously target those monsters. 4. If "widespread dud" is activated and an effect like "book of moon" or "compulsory evacuation device" is chained so that one of the targeted monsters is not face-up on the field when "widespread dud" resolves, then only the monster which is still on the field will remain targeted by "widespread dud". If that monster is removed from the field, then "widespread dud" is destroyed. 5. If "widespread dud" targets two monsters and only one of them is removed from the field, then "widespread dud" is still destroyed. Afterwards, the remaining monster which was targeted by "widespread dud" is destroyed. On a side note: a know many players like to put morphing jar for d.d gladiator beast, but trust me, never ever in this card. because if you have your morphing jar dump down in your grave, say goodbye to that 3 pieces of eatos in hand. gladiator beast is alright, since you have that indomitable gladiator beast to help you get rid of them.